The first 8 training seminars focus on one main topic over a course of 3 days. Students can focus on one area to learn about specific areas of interest or take all to apply for a Face Reading Diploma following the Theoretical, Oral and Practical Exam. The course covers both theory and practice, with the 2nd module focusing on the practice. The group sizes vary depending on the location and content, but usually move between 7 to 20 participants. Upon completion of each seminar, you will get a topic-dedicated certificate. To learn more about each module, see our Tools of Diagnosis section on our Face Reading page. Subscribe to receive exclusive videos of Face Readings and Face Reading Trainings! The individual training is tailored to your specific needs, whether you want to use face reading now in the private sector, as a sub-discipline of your profession or even as a future face reader. Duration, location and content, including the share of theory and practice, can be arranged flexibly. 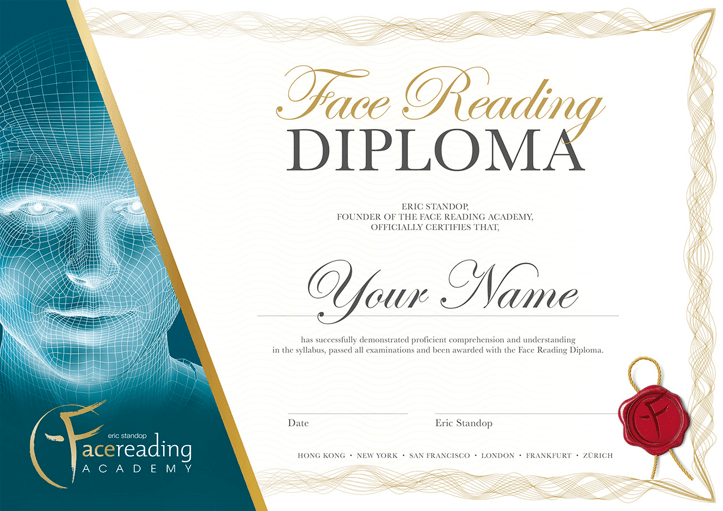 Contact us directly through the contact form below or via email office@facereading-academy.com.